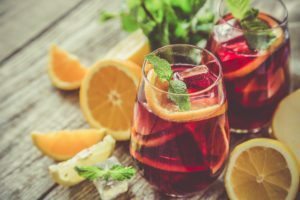 Summer is fast approaching and we wanted to provide you with a guide to making wine for the summer to ensure you’re ready to cheers to warmer weather, no matter the occasion! Call and book an appointment at the store, or walk in to start crafting. Our wines take 4-8 weeks to craft depending on the kit you select, so if you head in soon – your wines will be ready to enjoy come the first day of summer on June 21! Next, select a refreshing varietal with the help of the expert guide in store that’s perfect for sipping on warm summer days at BBQs, picnics and by the pool! Craft Winemaking In 5 Easy Steps – Short form from RJS Craft Winemaking on Vimeo. We recommend making a couple of varietals – a crisp white and either a rosé or cool red, so that regardless of the occasion, you have a wine that suites your needs! 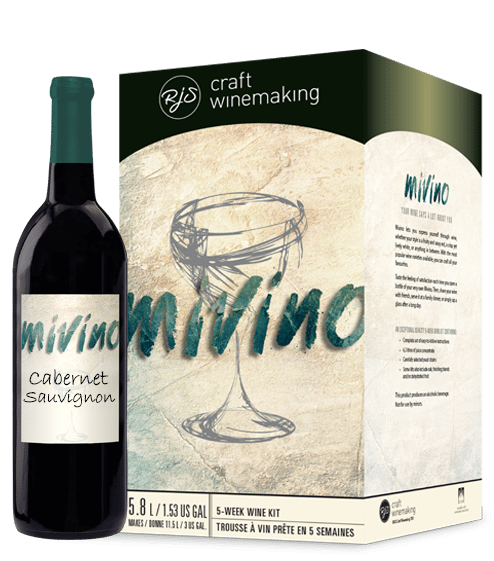 We wanted to touch on a few great wines of the over 130 products in our lineup, to give you some inspiration of what you could craft! 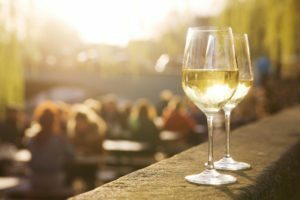 As it gets warmer outside we crave a crisp, refreshing white wine to enjoy. Sauvignon Blanc is the ultimate summer wine and our Cru International Sauvignon Blanc style wine offers fresh citrus flavours and bold herbal tones on the palate. Or enjoy our Cru Select Australia Style Chardonnay, which is slightly tart on the palate, while unfolding flavours of vanilla and cloves. The suggested serving temperature for lighter white wines: 7-10 ̊ C.
The suggested serving temperature for white wines with more body, or oak: 10-13 ̊ C.
Food Pairings: White wines tend to pair better with lighter foods such as green veggies and fish. Suns Out, Rosés Out! It’s time to rejoice in the official wine of summer – the rosé! You can enjoy this trendy blush drink with our En Primeur Winery Series Pinot Noir Rosé, which is bursting with aromas and flavours of strawberry jam, complemented by raspberries, rhubarb and floral notes. Juicy on the palate, this wine is exquisitely balanced with a luxuriously smooth mouthfeel. Or you can enjoy our Cru International French Rosé style wine that features spiced strawberry and crisp citrus aromas on the nose, with fresh strawberry flavours and a refreshing fruity finish on the palate. 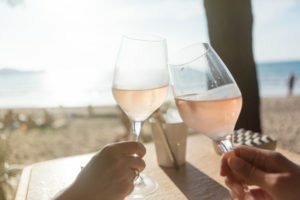 Food Pairings: Rosé pairs well with many foods – fin fish, shellfish, white meat, cured meat, hard cheese, soft cheese, greens, and exotic spices like turmeric, ginger, saffron, and cumin. Warm weather doesn’t usually make you think of red wine, but light reds can be refreshing when lightly chilled. Our Grand Cru Pinot Noir style is light with a berry flavour and bright acidity – it is an approachable, yet sophisticated wine. Our En Primeur Winery Series Spain Grenache Syrah is more medium-bodied, but after a quick chill this spicy, dark fruit-flavoured red is excellent with grilled meat. 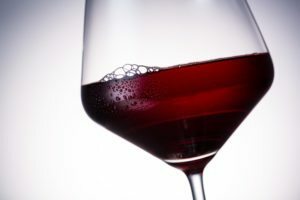 Food Pairings: Pinot Noir is one of the most versatile red wines to match with food! Why not experiment and make a charcuterie board using cheeses with earthy, mushroom and herbal flavours, and cured meats. While we’re talking about summer wines, we needed to give a nod to sangria. Our Orchard Breezin’ Seville Orange sangria offers fresh and sweet juicy flavours that are balanced by the bitterness of the Seville Orange. The sweetness of sangria pairs well with spicy foods and desserts, or enjoy it on its own and add your favourite chopped fruit! Keeping your sangria chilled: As the ice in a pitcher of sangria melts, it will gradually dilute the drink. To avoid this problem, replace the ice with something a little more flavourful, like sliced frozen fruit. Food Pairings: Sweet and fruity, sangria pairs well with spicy food.